Holiday Blessings to You All, today I am inspired to share on the Importance of choice in each of our lives. Choice is the one thing we can count on every moment of every day. The very purpose of incarnating in these human bodies is all about choice and experience. So understanding the Importance of choice is vital to a joyous life of Freedom. In these ever growing choices we have responsibilities to our own Evolution and we must clearly understand what are Not our responsibilities and what are. Without this clarity a life of exhaustion and suffering may soon be our experience, an experience that we don’t have to have repeated once we are clear. I help my Soul Coaching clients with charts like this often. This one is so beautifully clear. It’s so important to truly grasp one’s level of true responsibility as so many are allowing themselves to be drained by carrying others’ responsibilities upon themselves. 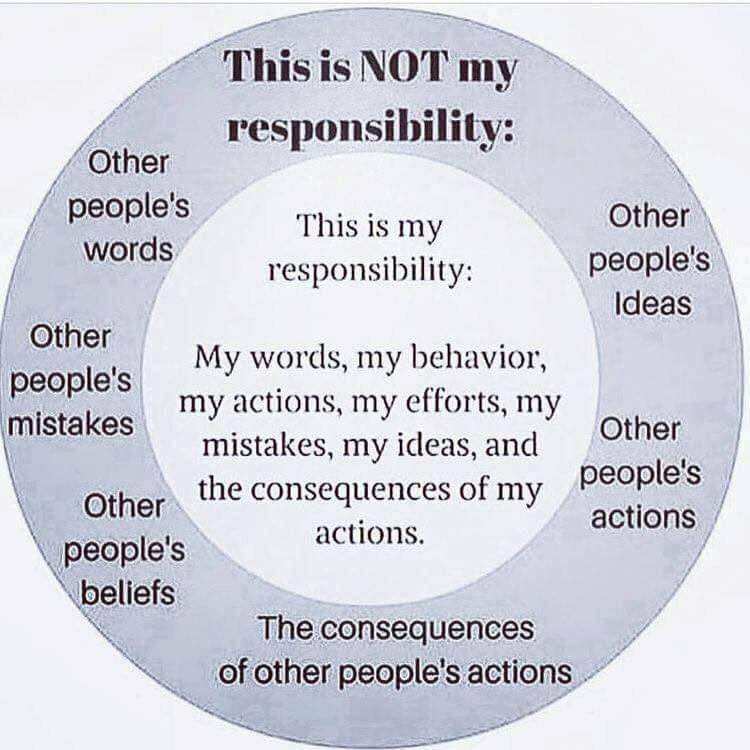 This is such a common misalignment of our wounded egoic perspective, the perspective of “Over Responsibility”. I often Observe humans who are controllers (or micro managers), who feel they must control everyone’s choices, and soon they become drained from such a misaligned perspective. These humans would greatly benefit in learning the art of delegation. They would benefit by trusting the genius in others and allowing them space to follow their own inner guidance. What a freedom to let go of any need to Control another. Controllers Always live with the flawed perspective that Everything is their responsibility. Their freedom lies in staying Aligned within the center of this chart and focusing on their own life choices, their own thoughts, words and actions. These humans often procrastinate their own inner/outer work as they avoid that One true responsibility of self, by overly controlling those around them. There are also those who are frozen, who are terrified of making choices, so they allow others to control them. They ignore their own power and ability to make their own choices. These humans often project a sense of powerlessness and encourage controllers to make their choices for them (victim energy). Often these very humans will then blame those controllers for their choices. It’s an exhausting and toxic cycle for both humans. And will never awaken true genius in either. My sage advice? 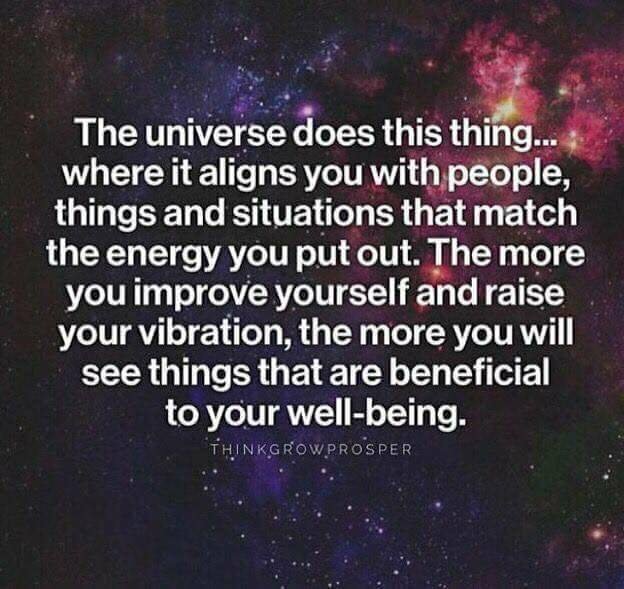 Stay centered in your alignment with your Source Oneness. Make Your own decisions and choices, let go of any need to control what others say, do, feel, or think because that is Never your job or responsibility. See the genius within others and trust in their ability to choose what is best for them. But most importantly, recognize the genius within Yourself and Make Your Own Conscious choices with courage and confidence. That is Your Only True Responsibility! 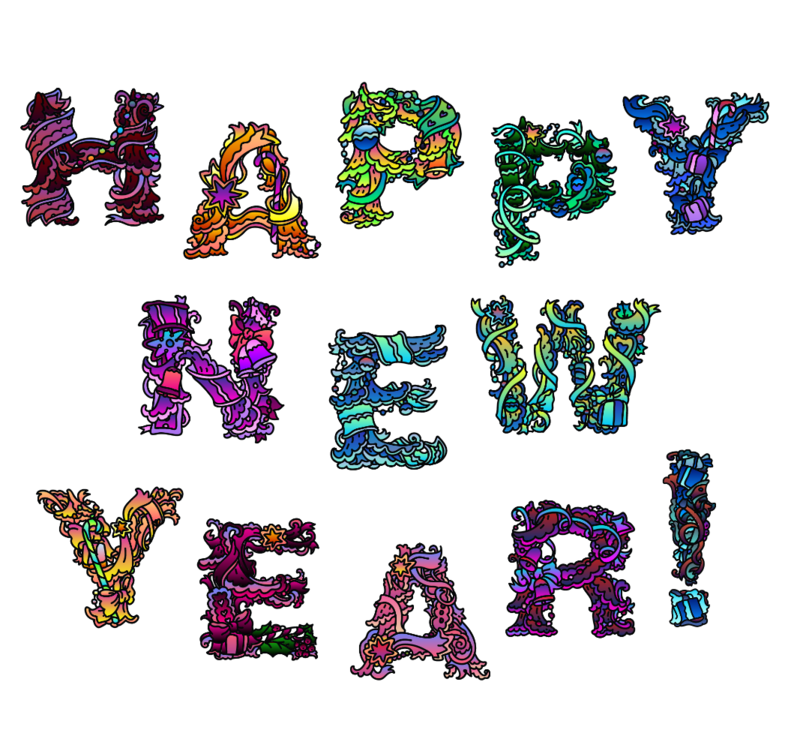 Allow this One thing to be your greatest focus as you ignite an Awesome and Empowered New Year!